Somali Media Empire (SME) is the biggest media company in Africa which works and promotes free media outlet to serve the common interests of people locally, regionally and internationally. Somali Media Empire (SME) is Media Company working voluntarily for the Somali people in order to stop invading foreigners who wants to mislead our culture, religion and natural resources. We respect and adapt freedom of expression, media and we’re not working for bribes so, please it is the best time to stop arming and funding criminal entities in Somalia since 1991 until now. We will soon report your crimes in Somalia and around the world. Current Mogadishu Mayor & Banadir Governor Madale exposed that there are roadblocks in #Mogadishu making security fail, & he said clearly that #Somalia‘s tenured failed #Damu-Jadiid is unable to clear roadblocks even in Mogadishu City after 4 years of endless lies & 6 phony articles to Somalis and the world at large. Ex- #Somalia‘s #PrimeMinister H.E.Ali Mohamed Gedi exposed #Somalia’s failed Damu-Jadid #President Hassan Sheikh corruptions while he announced that he is now a Somali Presidential Candidate while denying his previous government failures and atrocities in Mogadishu. Ex- Mogadishu Mayor & Banadir Governor, Now Minister Gen. Mungab exposed how Damu-Jadiid Somali #government supports Terrorists, and Somali people must choose a new leadership after Damu-Jadiid Terror Group in the Somali Statehouse failed to lead Somalia well for last 4 years excepting arming and sponsoring Shabab terrorists. Listen to him well. Somali Hayaag clan complaining about Puntland State President Mr. Abdiweli Ali Gas who robbed and looted the Parliamentary Seat of Hayaag clan giving it to another clan as they exposed in this recorded video. Beesha Hayaaag oo ka cabanaysa cadaalad darro uu ku sameeyey Madaxweynaha Puntland Dr. Cabdiwale Cali Gaas. #Somalia‘ tenure expired #Damu-Jadiid linked Group #President H.E. Hassan Sheikh is a terrorist who has appointed the most known and notorious Al-Shabab terrorists explosive squad commander Mohamed Adam aka Kofi as a Mogadishu City Intelligence commander and now he is the Director of Somali Immigration and Nationalities. So, which countries are funding and arming terrorists and the H.E. Hassan Sheikh is a terrorist who has appointed the most known and notorious Al-Shabab terrorists explosive squad commander oAdam aka Kofi as a Mogadishu City Intekigence commander and now he is the Director of Somali Immigration and Nationalities. 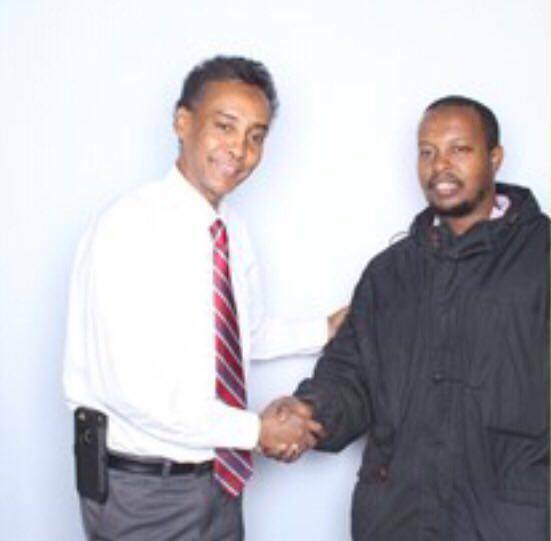 The #World Renowned #Somali#American Writer of 103 Books, Journalist, Security Expert, Entrepreneurial Investor, Philanthropist & Diplomat Dr. Badal W. Kariye “Dr. Hunbul” hopes a brighter #future 4 #Somalia‘s #next#leadership. On behalf of the Somali Cyber Teams, Somali Internet Society, the Union of Somali National Authors & Somali Media Outlets, we, the Somali people thank for his endless contributions to fund and help Somali Non-governmental organizations, previous Somali Governments and ordinary citizens in Somalia and around the world. Madaxweynaha Soo Socda Mudane Cismaan Shiikh Cumar oo shaaciyey Kooxdiisa Ololaha Musharaxnimadda Madaxweynaha Soomaaliya 2016. Director of Foreign Policy, FCNL Micheal Shank exposing the endless corruptions of the United Nations, international NGOs & foreign countries. So, who can hide the endless corruptions in Somalia armed and funded by foreigners with linked to many evil people using under the names of their respective countries. Somalia’s Damu-Jadid Terror Linked Tenure expired #President Mr. Hassan Sheikh Mohamud spent million of stolen and swindling public funds for his presidential re-elections in 2016 after 4 years of endless political failured in the Republic of Somalia where he took up the Somali Presidency in 2012 illegally without the legal appointment of the Lower and Upper Houses in the Republic of Somalia as stated in the Somali Federal Constitution. Furthermore; Somalia’s Damu-Jadid Terror Linked Tenure expired #President Mr. Hassan Sheikh Mohamud armed and funded several criminal terrorism linked groups including Al-Shabab terrorists in order to recapture Kismayo City, the capital of Jubbaland State which he has been rejecting to recognize for more 1 and half years. Unfortunately, the Somali people and the international community wants to elect new leadership after Somalia’s current tenure expired Prime Minister Mr. Omar Abdirashid Ali Sharmake exposed how Somalia’s Damu-Jadid Terror Linked Tenure expired #President Mr. Hassan Sheikh Mohamud has been misleading and misusing public funds as well as selling public properties for personal gains. Somalis wants new leadership 100%, and they must be free from any crimes including various political conflicts in Somalia including tribal clashes. On behalf of the Somalia ICT www.somaliaict.com/, we are delighted to accept and serve the Official Campaign of Somalia’s Most Preferred Presidential Candidate in 2016. The Facts of Current Corruptions (Hard Questions to the Tenure Expired Damu-Jadiid Terror Group in the Somali Statehouse “Villa Somalia”. Who has stolen Somalia’s public funds? Is Damu-Jadid Terror Group in the Somali Statehouse “Villa Somalia” holding the Somali Central Bank Governor Mr. Bashir Isse as their puppet hostage who can not expose the truth about how #Somalia’s Damu-Jadid Terror Linked President H.E. Hassan Sheikh Mohamud has spent millions of stolen public funds from the Somali Central Bank? Where is the stolen money? Who brought forgery U.S. Dollars into the Somali Central Bank in order to steal correct U.S. Money from the Somali Central Bank. Why is the ex-Somali Minister of Finance Mr. Fargaate not exposing the stolen funds? Or How much did the ex-Somali Minister of Finance Mr. Fargaate steal from the Somali Central Bank and the Somali people? Mogadishu on Wednesday November 23, 2016 Director of the Somali #Center for #Dialogue & #Research (RCD) exposed Ex- #President Hassan Mohaud corruptions and how his ex- corrupted Ministers misused public funds and treasuries to return to the Somali Presidency in 2016 after 4 years of endless corruptions, funding and arming terror linked groups in various regions in Somalia as well as planning assassinations of many ex- Somali Members Parliament, Journalists and business people. How about promoting 270 unqualified Somali Militiamen turned to become Somali government as high ranking officers in order to please such corrupted terror linked Damu-Jadiid Group who occupied the Somali Statehouse (Villa Somalia). Can the @UNSOM @UN hide the fact of #President Hassan Mohamud Corruptions? Listen to (RCD Director Jabril Abdulle in this recorded video clip. 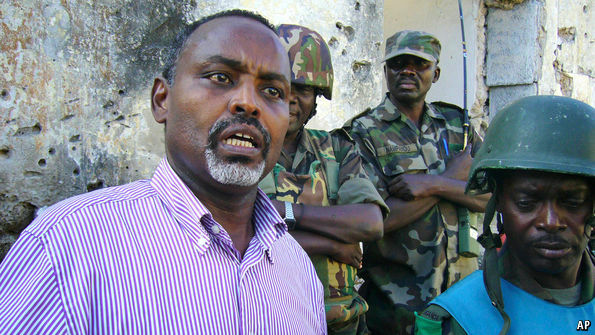 The Somali Independent Electoral Commission is one of the most corrupted and working with Damu-Jadid terror linked Group at the Somali Statehouse (Villa Somalia), and it is the best time for Somalis and the International Community to stop such heinous criminals before they kill more innocent people silently with their genocidal activities since they took up power until now. Welcome to know #Somalia‘s most influential leader and extraordinary diplomat with huge local and international business #investment. Ex- Somali Ambassador & writer Dr. Badal W. Kariye who made money and fame locally, regionally and globally writing books. Ex- Ambassador Dr. Badal W. Kariye held several posts in previous Somali Governments, and he s one of the best world writers who wrote more than 100 books available worldwide markets and he is one of the 7 Amazing African millionaires who has invented and invested various businesses in Africa, Asia, Australia and Americas. Ex- Ambassador Dr. Badal W. Kariye is the official contributing financier of many local and international NGOS in the world, and he is one of the best African social philanthropists. Ex- Ambassador Dr. Badal W. Kariye supports grassroots and he likes to educate others so that they can help people and their respective countries. Galkayo (RBC Radio) The Prime Minister of the Federal Republic of Somalia H.E. Omar A. A. Sharmarke successfully negotiated a ceasefire and a two (2) kilometer pullback of troops on each side. In follow up to the recent Abu dhabi agreement on the conflict in Galkayo between Puntland and Galmudug regions, Prime Minister Sharmarke travelled to Galkayo and over last week worked to negotiate an immediate ceasefire and an initiation of preliminary talks for a lasting peace agreement. After the first meeting, the two sides formed an eighteen (18)-member negotiations team to continue dialogues in Kismayo as per the agreement. Yesterday, the Prime Minister visited the frontlines to physically witness the disengagement of troops. He met with Presidents Abdiweli Mohamed Ali and Abdikarim Hussein Guled at the site whereby the leaders ordered their troop commanders to implement the shifting of troops to new assigned locations. In a statement to the media, the Prime Minister announced the progress made and called on the two sides to honour the agreement, avoid any incitements, and work towards a peaceful co-existence of the inhabitants of Galkayo and its environs. Prime Minister Sharmarke commended the efforts of SRSG Michael Keating, the AU and IGAD delegations. He particularly emphasized on the important facilitation role played by the SRSG and the commitment conveyed by visiting Galkayo twice over the period of negotiations. The Prime Minister welcomed continued facilitations and the formation of a joint UN & IGAD Galkayo ceasefire monitoring team to help ensure the parties respect the agreement reached. He also informed both parties to guarantee the security of this team. Prime Minister Sharmarke called for the return of normalcy in Galkayo and encouraged the displaced civilians to come back to their homes. He sympathized with their challenges and asked the parties to consider their calamitous situation, particularly in a difficult drought season. The Mayor of Mogadishu: A Story of Chaos and Redemption in the Ruins of Somalia.By Andrew Harding. St. Martin’s Press; 286 pages; $26.99. Hurst; £20. THE brutal term “failed state” was almost invented for Somalia. Since 1991, when its military dictator was overthrown, it has had no government that fully controls the country and no election worthy of the name. A fanatical jihadist movement known as al-Shabab (“the Youth”) still dominates much of the countryside and regularly murders bigwigs and blows up hotels and restaurants in Mogadishu, the seaside capital that was once an Italian colonial jewel. Famine, terrorism, corruption and clan factionalism have prevailed. A swathe of Somalia’s people—2m out of 12m, some say—has fled abroad. Amid this remorseless gloom, however, Andrew Harding, one of the BBC’s most intrepid and empathetic journalists, who has been visiting the country since 2000, has chronicled the extraordinarily uplifting life of one Somali, Mohamud Nur, nicknamed Tarzan. Dumped as a child in an orphanage in Mogadishu, he later made good in Saudi Arabia and then London, and returned to Somalia in 2010 to become the capital’s dynamic mayor. According to Mr Harding, Tarzan’s courage, inventiveness and resilience typify the finest qualities of the Somali people. It would be wrong, he insists, to give up hope. New York November 09, 2016 Americans chose the Donald Trump as the 45th President of the United States of America, and we congratulate to Americans. Mr. Osman Sheikh Omar gains 78.6% for Somali Presidency in 2016 while ex- Somalia’s Transitional Federal President H.E. Sharif Sheikh Ahmed gains 42.3% unfortunately, Somalia’s current tenured expired President H.E. Hassan Sheikh Mohamud gains 13.2% which means that 86.8% dislike and wants new and young Somali President who will revive Somalia’s lost law and order. Today is the Final Day of Somalia’s ex- tenured expired Damu-Jadid President H.E. Hassan Sheikh Mohamud to vacate the Somali Statehouse “Villa Somalia” on November 07, 2016 after 4 years of endless organizing crimes and stealing public funds. Maanta waa maalintii ugu dembaysay Madaxweynihii hore ee Soomaaliya Mudane Xassan Shiikh Maxamuud inuu iska-baxo ama baneeyo Aqalka Madaxtooyadda Dalka Soomaaliya ee loo yaqaano “Villa Somalia” taariikhdu marka ay tahay Nofeembar 07, 2016 kadib 4 sanno oo uu isku-dubaridayey dembiyo iyo xatooyadda xolaha dadweynaha. #Puntland State #People, #Parliament & Puntland State Government appoints Ambassador Dr. Badal W. Kariye “Dr. Hunbul” as a New Member of the Somali Upper Federal #Parliament. Ambassador Dr. Badal W. Kariye is highly educated and well-known personality locally, regionally and globally. National Union of Somali Journalists NUSOJ welcomes the joint report by the United Nations Assistance Mission in Somalia (UNSOM) and the Office of the United Nations High Commissioner for Human Rights (OHCHR) focusing on the right to freedom of opinion and expression in Somalia in the context of the country’s democratic transition.“The trend of arrest and detention of journalists and other media workers seems to indicate an intention to intimidate or harass journalists and media owners which inevitably leads to self-censorship or to media workers eventually leaving the profession,” says the report produced jointly by the UN Assistance Mission in Somalia (UNSOM) and the Office of the UN High Commissioner for Human Rights (OHCHR)The Somali federal government and regional authorities use various abusive tactics in an attempt to silence the independent media. Such tactics include arbitrary arrests and forced closures of media outlets, threats and constant intimidation.Therefore, NUSOJ urges the Somali government and Federal states to take the report very seriously and implement its key recommendations such as strengthening law and policy frameworks, fostering a conducive environment for all Somalis to express their opinions freely, particularly at such a critical juncture in Somalia’s political landscape, and ensure accountability for human rights violations and abuses.Al-shabaab remains the most dangerous group against Somali journalists and freedom of expression in Somalia.“Somali journalists have been very concerned about the attempts to limit the freedom of expression and reporting on the process fairly during Somalia’s upcoming elections. Therefore, we call on the leaders of the government, heads of regional states and presidential candidates to respect and guarantee freedom of expression, freedom of media and build acceptable environment where both local and international media can thrive by working effectively and with objectivity during elections,” said Mohamed Ibrahim Moalimuu, the elected Secretary General of National Union of Somali Journalists.The UN report said that the dangers facing media workers and public figures are illustrated by the killing, between August 2012 and June 2016, of a total of 30 journalists and 18 parliamentarians in Somalia.The National Union of Somali Journalists (NUSOJ), documented the arrests of16 journalists in various parts of Somalia during the past five months alone and this indicates how Somali journalists are vulnerable to the continuous harassment the authorities. Added Mohamed Moalimu.Finally, NUSOJ condemns the false claim of Omar Faruk Osman, the former Secretary General of NUSOJ as the legitimate SG and bombards emails and press releases to international partners despite Somali journalists electing new leadership democratically and have been endorsed by the Somali Supreme Court, accredited by Somali government and welcomed by Somali Civil Society.“Omar Faruk does not operate in Somalia as his illegitimate claim is well-known all over the country, because he is illegal and he should be ashamed of keeping the claim of being NUSOJ- SG while being outside the country. We repeat our call for him to abandon his false claim of NUSOJ Secretary General.” said Mahir Jama Aden NUSOJ President. #Somalia Ambassador to the United State of America H.E. Ahmed Awad and Norwegian Ambassador in the United States of America H.E. Kare R. Aas met the Somalia’s Preferred Presidential Candidate H.E. Osman Sheikh Omar at the Humphrey Institute, University of Minnesota on October 13, 2016 in Minneapolis, Minnesota USA.